Living the Good Life: SEND THE ARK! 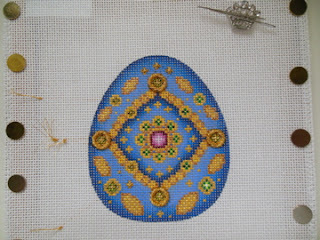 Wonderful stitching! Sometimes life gets in our way of stitching. Hopefully, things will calm down and you will have more time to stitch. Hello! Great to hear from you. 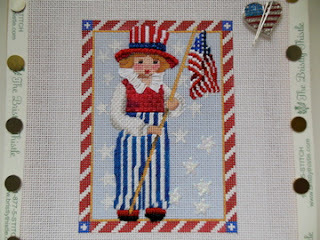 Love the Patriotic boy and the eggs. I miss your Sunday posts! I hope all is well and you are having a chance to stitch. I have just found your blog and love it. I miss your posts and hope all is well in your world. Love your stitching and especially how you decorate your home with the finished items. I found your blog while Googling "needlepoint groups Augusta GA". Your projects look amazing. I am a needlepoint novice and looking for groups where I can get advice and gain in knowledge, etc. I took the plunge and decided to try to needlepoint some Christmas stockings for my grandsons. This is for Christmas 2014 so I have time to learn along the way. Do you have any suggestions for groups? I live in the CSRA. If you know of any places, would you email me at lchastings@gmail.com Thanks so much. Greatly miss your weekly blogs! Hope all is well. Could you please make a quick post to tell us that you are okay? Hello Melinda, I could not find any other way to contact you other than this. Hope this finds you. 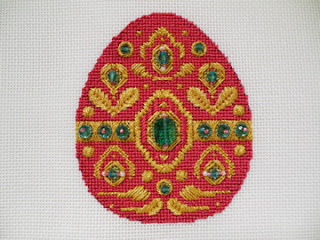 I see that you have one of my designs stitched on your blog. It's the 'boo' with the orange and cream stripe background. I am Julia Snyder of & more and wish you would give me and our company credit as you give Melissa Shirley credit. Melinda, where did you get your Noel, its so cute!